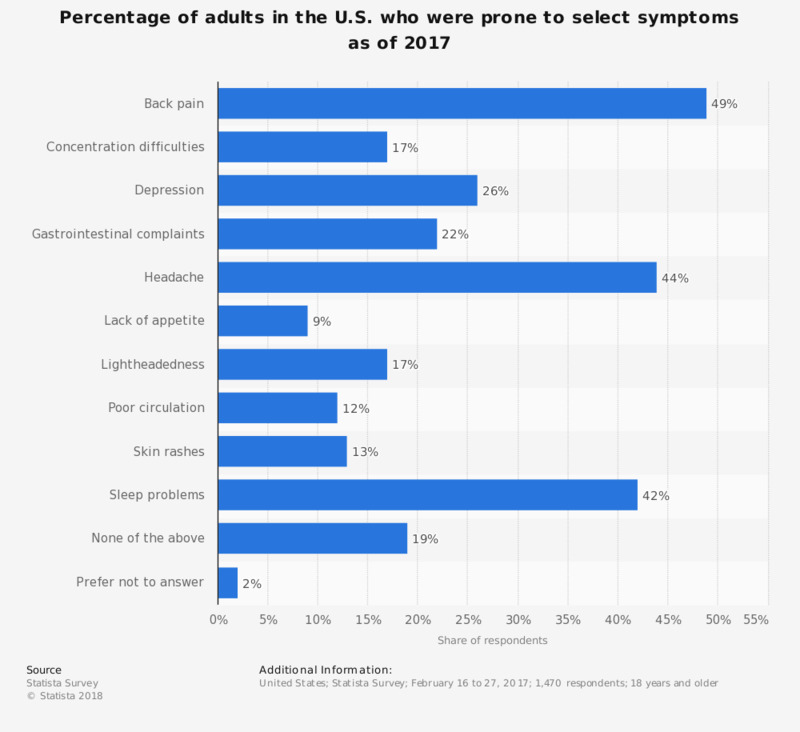 This statistic shows the percentage of adults in the U.S. who were prone to selected symptoms as of February 2017. It was found that 49 percent of respondents at least sometimes suffered from back pain. Original question: Which of the following symptoms do you - at least sometimes - suffer from?